The company also recently announced that it has also surpassed its $1 million Series A financing goal, as investors flock to the innovative platform that is using technology to disrupt alternative investing. The closing of the $1 million tranche of Series A fundraising represents a significant milestone for DiversyFund, which will use the additional capital to further develop online technology and product offerings on the platform. With another eye on the future, DiversyFund also plans on entering the crypto-currency space by launching an Initial Coin Offering (ICO) as part of its financing plan. An ICO will make it easier for crypto-currency users to invest in DiversyFund and own a crypto-currency that is uniquely backed by institutional-grade real estate assets. I invited Craig Cecilio on the podcast today to share his tech startup story. I wanted to learn more about Craig’s 20 years of experience in the industry and how technology is changing traditional investments. 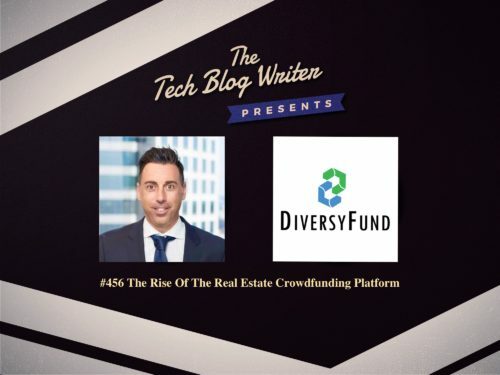 Craig reveals how is setting out to democratize the real estate investment process by making alternative assets available for retail investors with DiversyFund. The crowdfunding platform offers average investors access to institutional-quality real estate investments all through their phone. As is a frequent speaker on topics surrounding crowdfunding, entrepreneurship, real estate syndication, real estate development, and leadership. We also discuss disrupting old-school investment practices, the rise of crowdfunding, the use of fin-tech in real estate, entrepreneurship and business development.